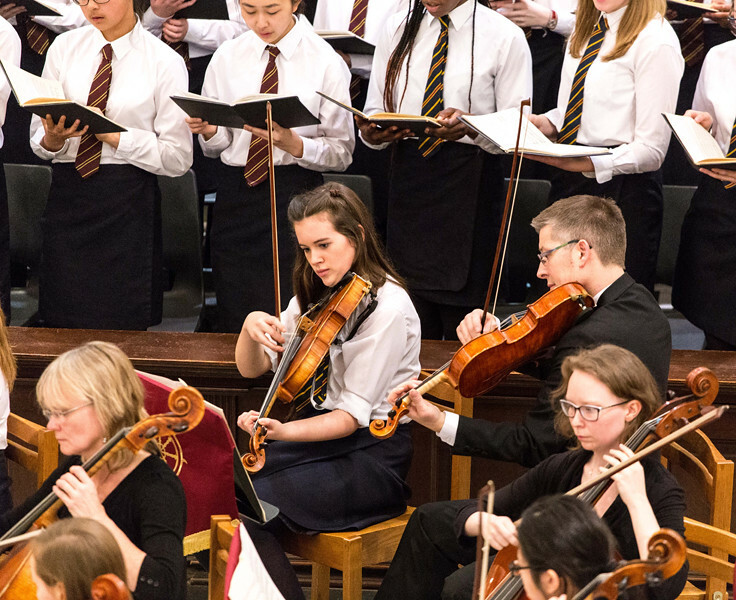 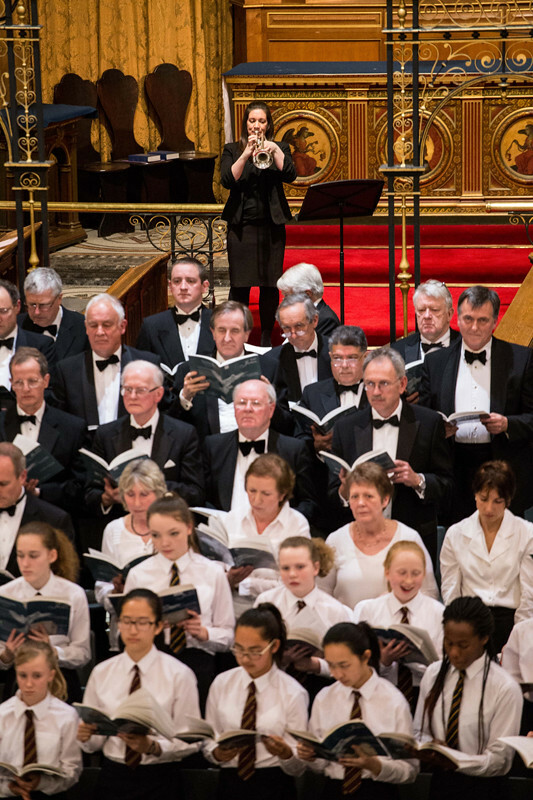 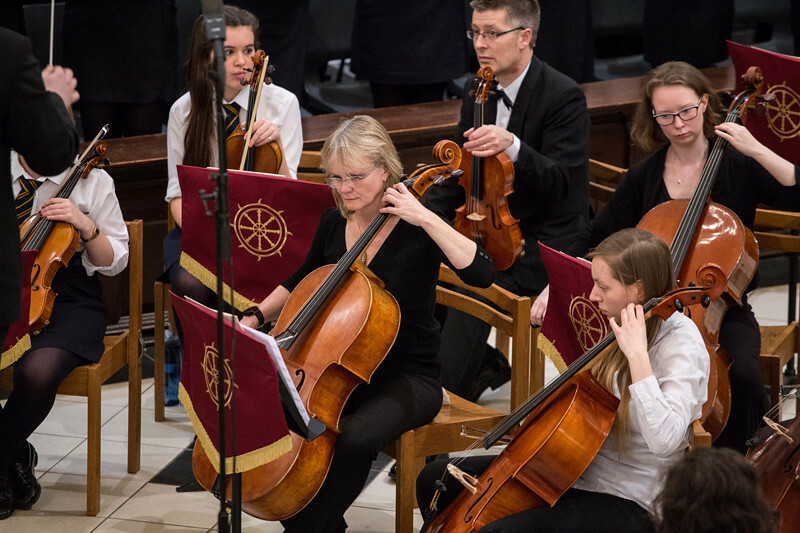 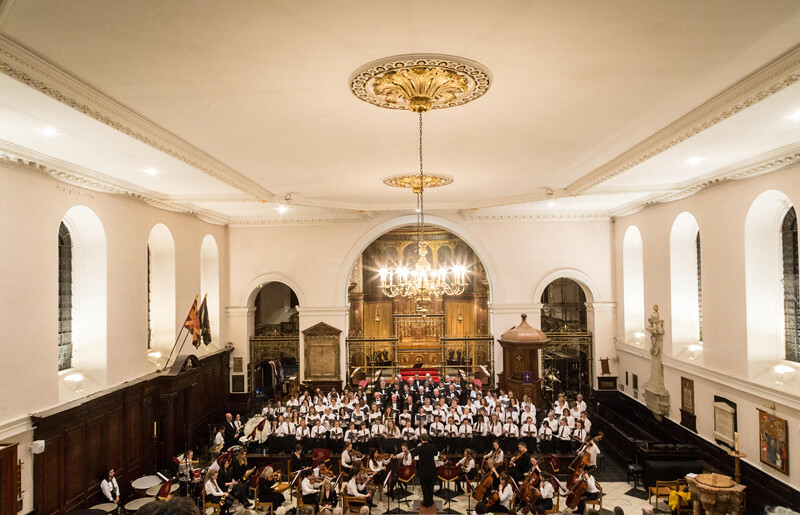 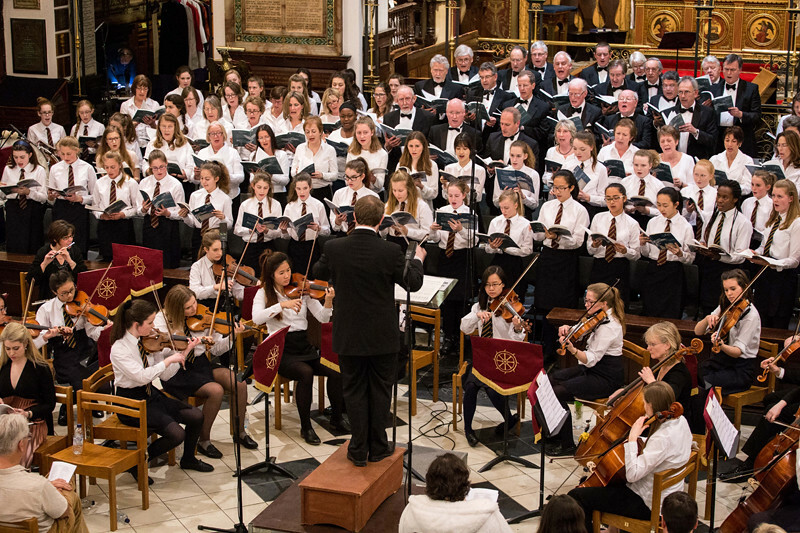 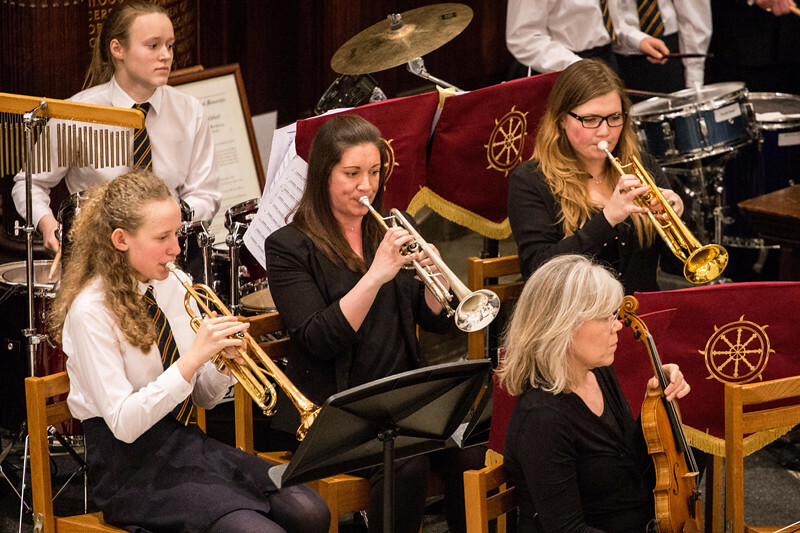 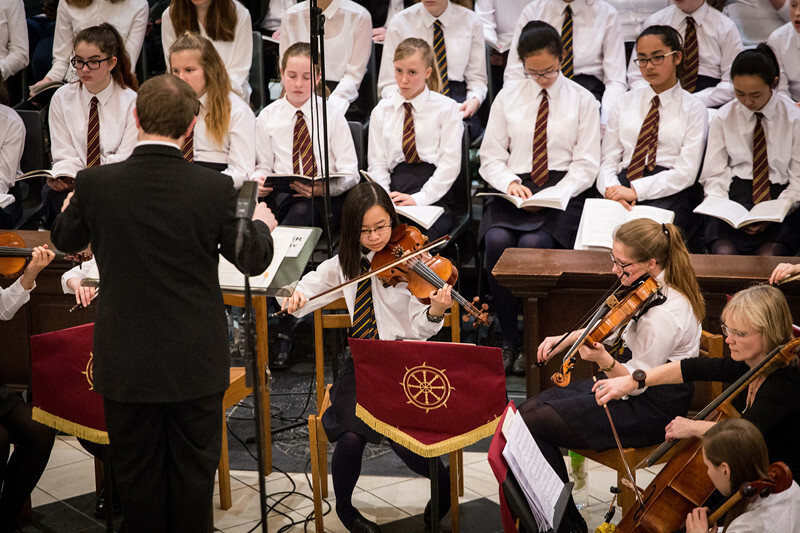 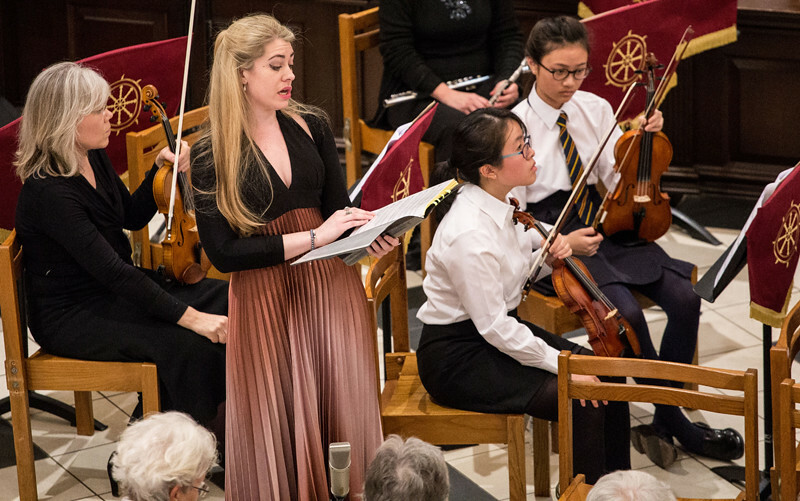 The music for this year’s concert on Saturday March 14th, in commemoration of the centenary of WW1, was a reflection on the terrible consequences of war. 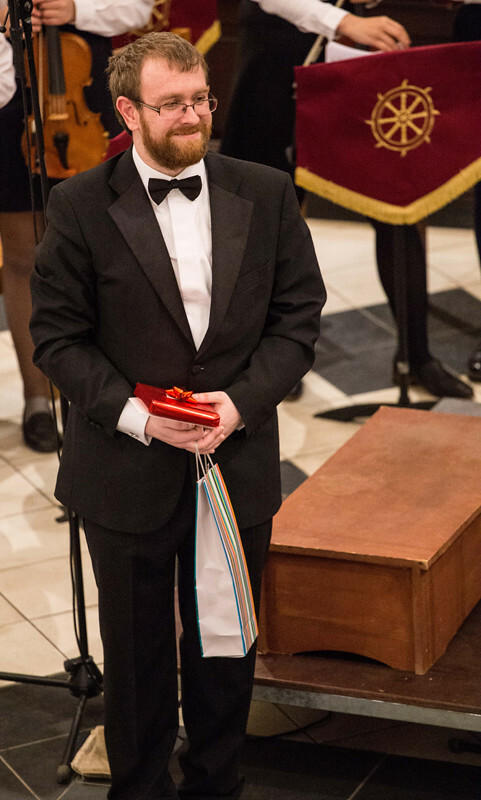 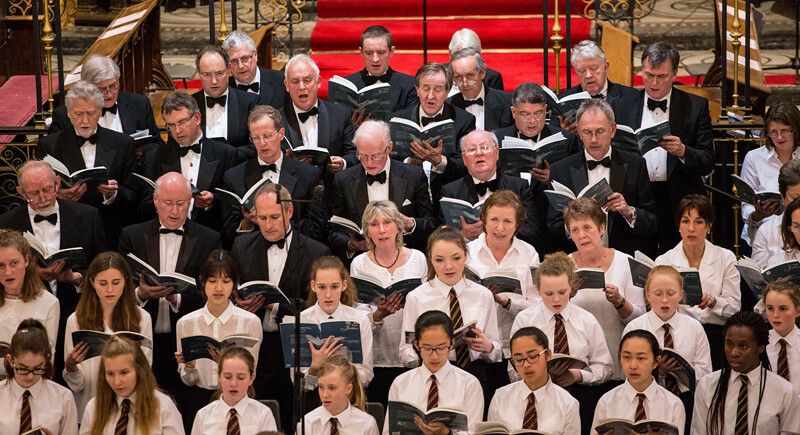 Gabriel Fauré’s melodious Requiem commemorated its victims, while Karl Jenkins’ powerful piece, The Armed Man, carried a message of peace at a time when barbarous acts of terrorism in the Middle East and beyond have tragic consequences for the people and heritage of the region. 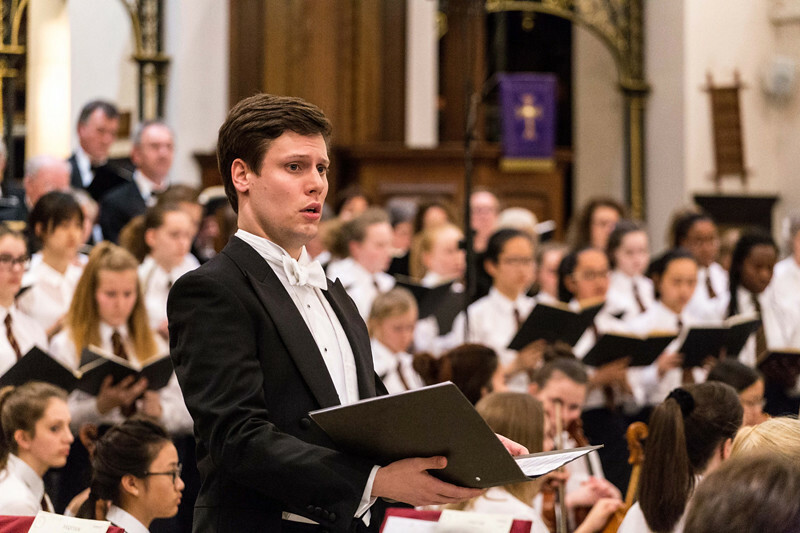 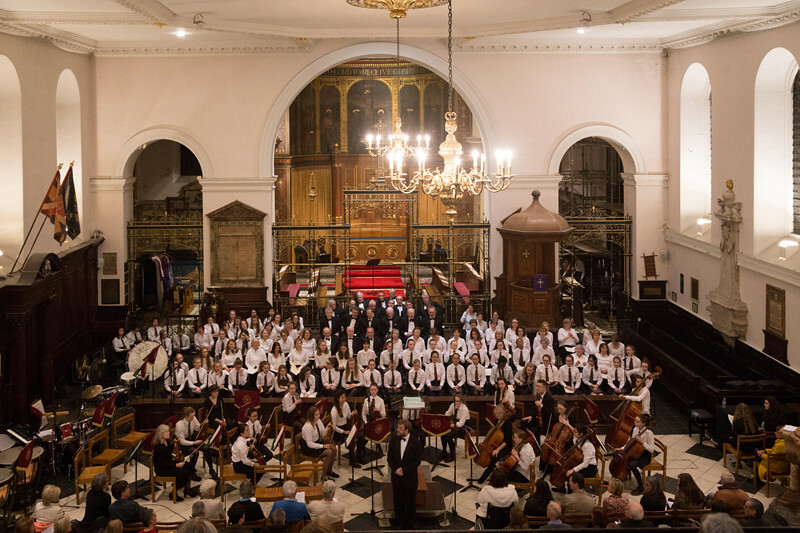 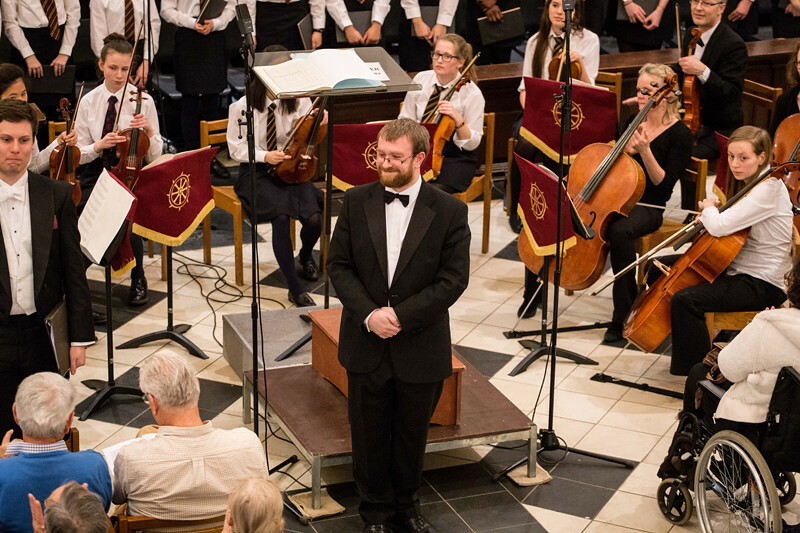 Conducted by Matthew Greenfield for the first time, the Association Choir, Senior Choir and Middle Chamber Choir rose to the occasion and garnered well-deserved applause for their renditions. 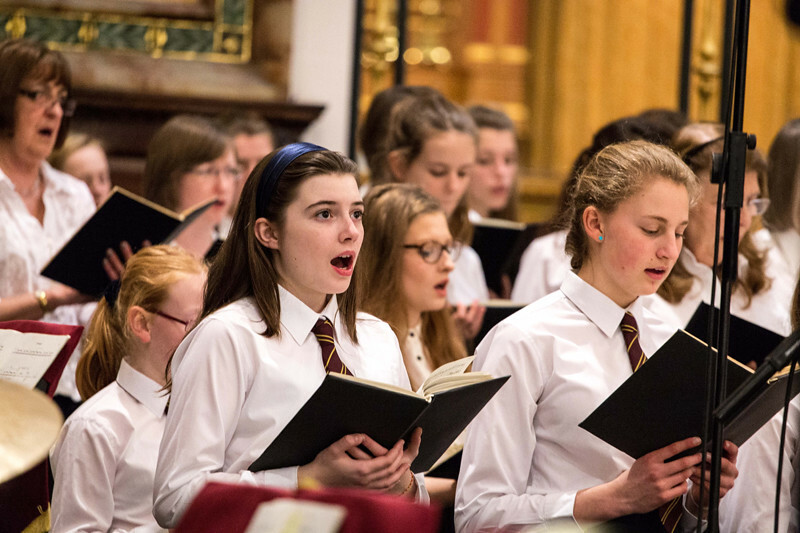 The school choirs had both been rehearsed by Beth Bathurst. 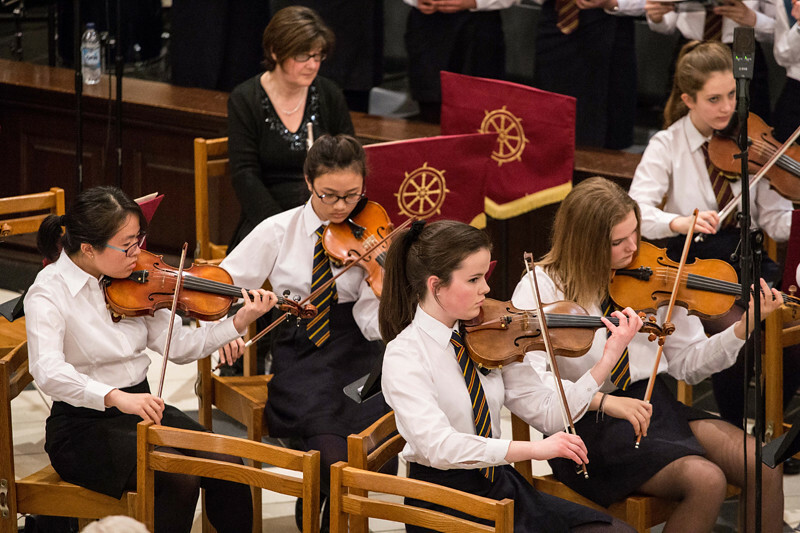 Camerata, the elite string orchestra accompanied most impressively, having been prepared by Barry Sutton. 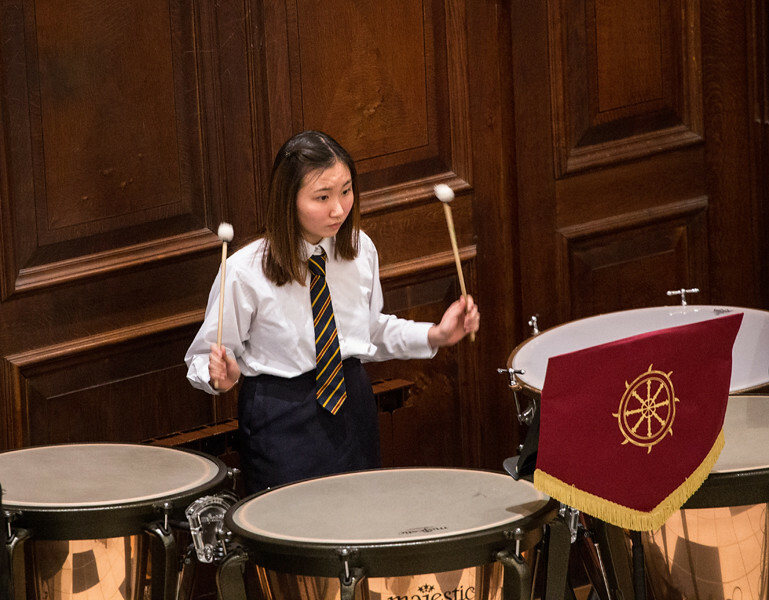 The ‘thundering’ of the percussion session, led by Ian Young, created a most stirring atmosphere. 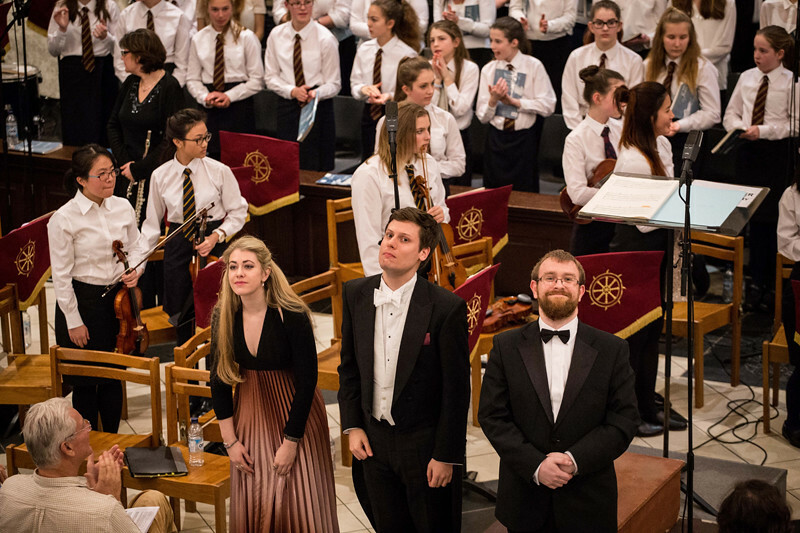 Soloists were drawn from the St Catherine’s family with former pupil, Fleur de Bray (2002), making a welcome return and 2009 Leaver Phil Vega’s fiancé, Chris Webb, making his first appearance. 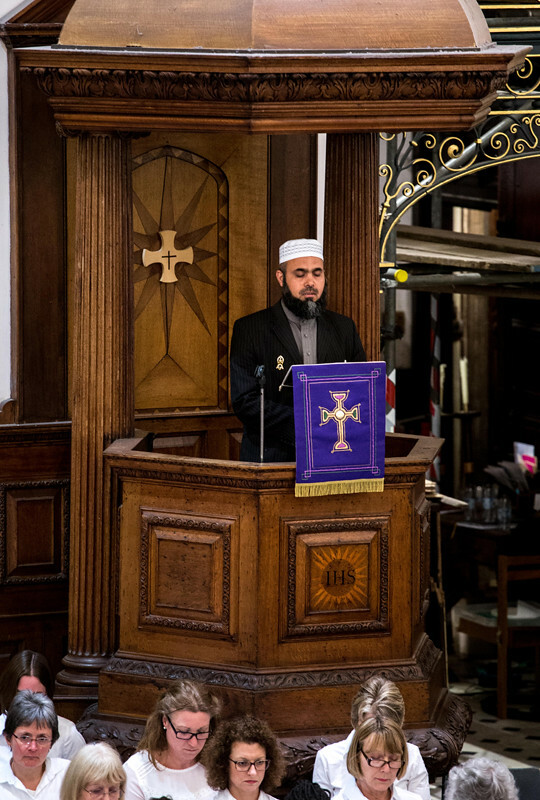 We were also fortunate to be able to include a Call to Prayer performed affectingly by Muezzin, Hafiz Hashmi. 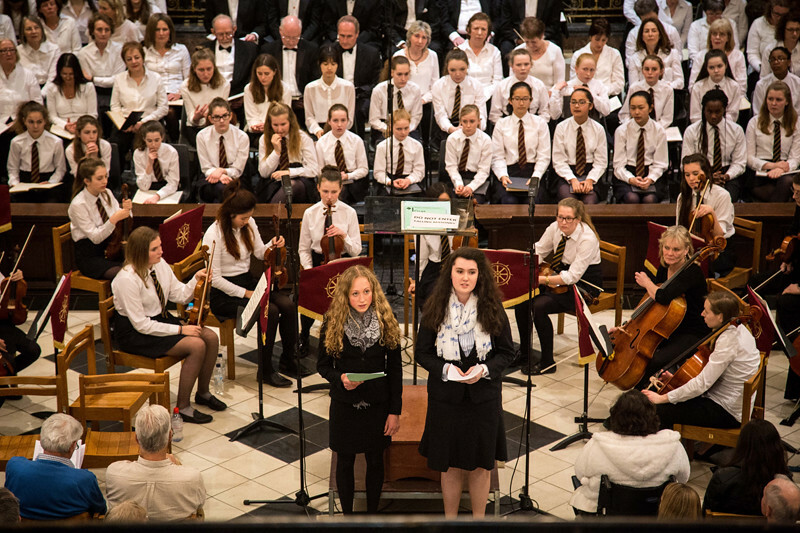 Donations were generously given by audience members in support of the renovation of St Catherine’s Chapel and its organ and the Association Prefects, Frankie Tamblyn and Katie Hudson (2015), highlighted the importance of the Chapel at the heart of our school community. 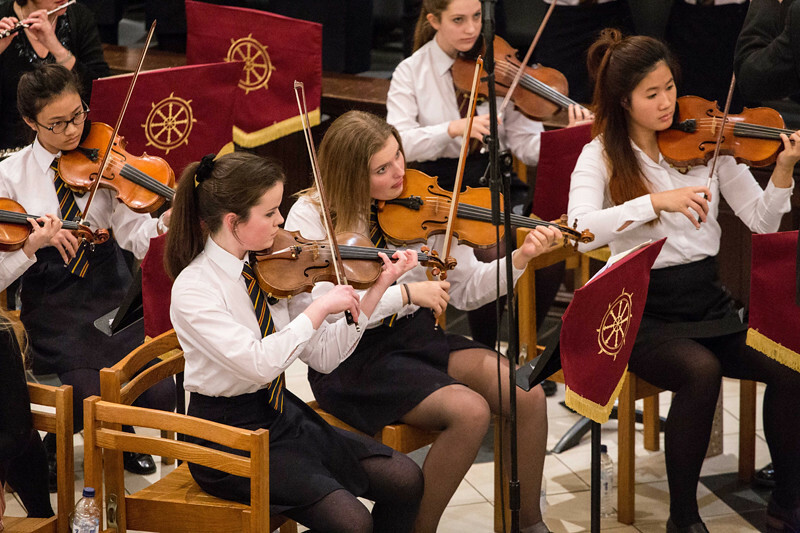 It has been a place of quiet reflection for staff and pupils alike since its dedication in 1894 and now needs some investment and restoration.